I had a potential safety hazard on my hands. Let me explain: I’m in the middle of fixing up my yard. My planter beds weren’t really doing that well and I was tired of looking at all the dirt, so now I'm replacing them with paving stones. 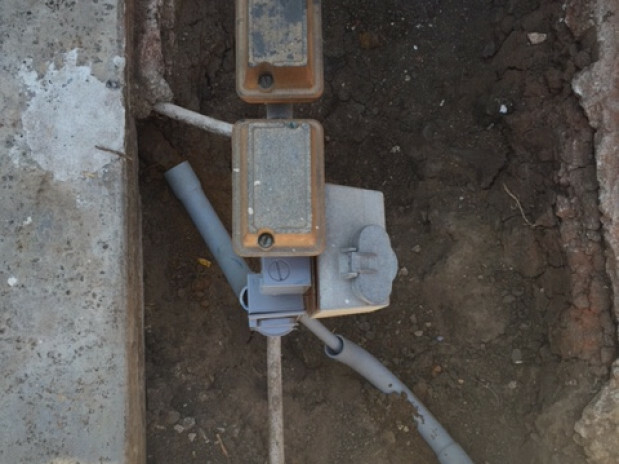 In the process, I found that I needed to repair the wiring for my in-ground pool. 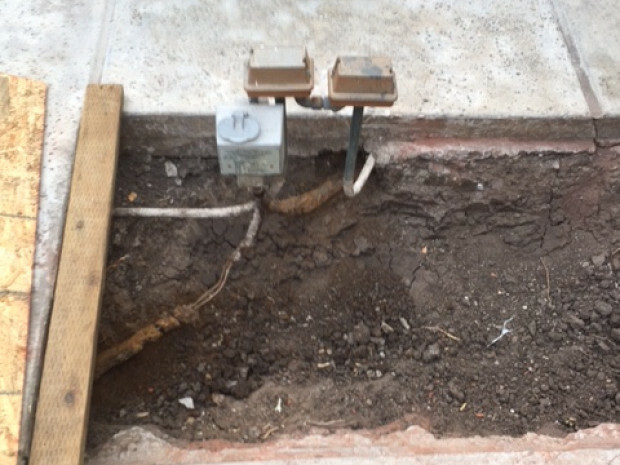 The insulation around the wires had deteriorated because the planter beds had been moist … and water, time, and chemistry had wiped away everything but the wires themselves. So I had to reinsulate that exposed wiring. I went to a search engine, which came up with a number of contractors. Out of several electricians I talked with, I chose two to come over to give me a bid, and wound up hiring D & J Lighting and Electrical. Price was important to me, as well as knowledge of what was going on with my pool because I wasn’t too sure of the wiring myself. I didn’t really want to start over and redo it completely. I just wanted to fix it for the short term and move on to the next planter bed. D & J had another job going at the time. As it got near the Fourth of July, I thought maybe they’d want to wait until after the holiday, but they said, “No, we’ll do it right away.” By that point, they had pretty much finished their other job, so they were right on it. Before the Fourth of July, they came down to work on my wiring and fixed it all in one day. I’m satisfied with D & J and I’m probably going to hire them for some more work in the future. They were great in terms of broad electrical knowledge as applied to the pool and circuits in general. That’s their strongest suit, their job knowledge. If you’re a new homeowner, before looking for a contractor, I’d advise getting your home checked out by a home inspector and have all the things that need repair itemized. That way, you know the whole scope of what you’re into, because the problems could be electrical, they could be plumbing, or sometimes they’re interrelated. It’s important to know all the facts up front and home inspectors, for just $50, are very thorough. After that, you can go over the list and decide what’s in your budget and what absolutely needs to be fixed because it’s problematic nature. At that point, you’ll be ready to hire an electrician, a plumber, or whatever contractor you need. I think customer reviews of contractors are very helpful. Several positive reviews are a good customer base for confidence in the fact that he’ll do a good job. Word of mouth is the most important, but people don’t always talk to each other, so reading the reviews is the next best thing. Emergency Plumbing Repair of Collapsed Sewer Pipe by Nick D.
Tile Floor Looks Like Wood, Stands up to Life with Kids and Dogs by Danielle C.